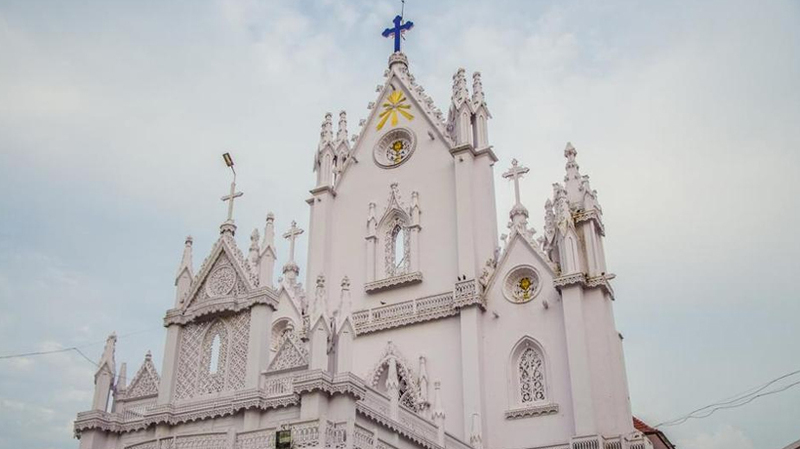 KOCHI: A Catholic nun has raised an alleged sexual harassment against a Bishop in Kerala putting the Syro-Malabar Catholic Church in a spot. In her complaint before the Kottayam District Superintendent of Police Harishankar, the nun said Franko Mulakkal, Bishop of the Roman Catholic Diocese of Jalandhar, raped her at a guest house in Kuravilangad in 2014. She also said he raped her 13 times in two years. The nun belonged to an institution that functions under the Jalandhar Diocese. At the same time, the Bishop too filed a complaint against her, alleging she was blackmailing him after he initiated disciplinary action against her, including transferring her from the current institution. “Refusing to obey the orders, she has raised the allegations,” he told in his complaint, lodged with Harishankar. Later talking to mediapersons, Harishankar said he has received both the complaints. “The complaints will be looked into seriously,” he said. The Bishop has been booked under Section 376 of IPC, while a case under Section 295 A has been booked against the nun. Earlier, speaking to a news channel, the nun said she had complained about the incident to the church authorities. “But I was forced to file a police complaint as the church took no action on my complaint,” she said.